LG promises to unveil a new version of this mobile system at CES with major performance improvements and a few new features, but still exclusively available on smart TVs. Linux-based webOS was initially developed by Palm, then it was acquired by HP who made the platform open source. Once that happened, the platform became Open webOS, but the operating system was sold to LG Electronics. 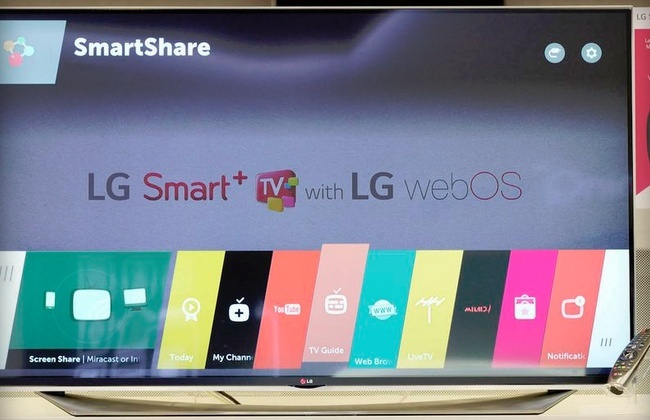 Now it has been officially confirmed that LG will unveil an entire lineup of smart TVs powered by webOS 2.0 next month at CES 2015. 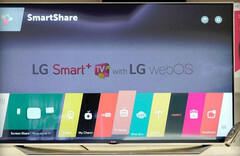 According to the official press release, "LG’s webOS 2.0 is specially designed to enhance the key features found in the current generation of Smart TVs, resulting in an outstanding user experience unmatched by any competing system" and the South Korean company is also teaming up with major content providers "to ensure that LG TV owners are guaranteed a wide range of viewing options in brilliant 4K resolution." This operating system was conceived for small devices such as tablets and smartphones, but LG only used it for smart TV sets so far. Compared to the previous version installed on their TVs, LG claims version 2.0 offers 60 percent faster boot time and is 70 percent faster when switching from home screen to other apps. This new version also brings a feature that allows the user to create a custom TV channel list in the launcher bar. We will get back to webOS 2.0 next month. Although it seems very unlikely for now, maybe LG decides to bring this OS back to tablets and smartphones one day. Initially designed to “Make TV Simple Again”, webOS TV was originally developed to address the growing frustration with overly complex smart TVs. With a focus on three overarching features ― Simple Connection,Simple Switching and Simple Discovery ― webOS made navigating today’s state-of-the-art TV systems easier than ever. Consumers embraced LG’s efforts with webOS Smart TVs topping 1 million mark in unit sales in the first two months after its introduction earlier this year and recording more than 5 million unit sales within eight months.